Students are admitted annually through a third-party blind lottery generating system. The lottery generates lists of randomly selected students, sibling pairings and other school and district specific selection criteria. It generates waiting lists when the number of applicants surpasses the number of seats available for the upcoming school year. THE DEADLINE FOR RECEIPT OF THE APPLICATION FOR THE SUBSEQUENT SCHOOL YEAR IS JANUARY 15. Parents may apply online or directly in writing to School Choice & Parental Options using the official Magnet Application Form. Only one (1) application per student will be accepted. Duplicates and revisions WILL NOT be accepted. All applications will be processed at the office of School Choice & Parental Options only. If using the paper application, please send your applications directly to the office to the address listed on the application. Please complete all required areas. Failure to sign and/or complete all sections may result in the application not being processed. Students may apply to a maximum of five (5) schools (one (1) PROGRAM per school). If more than five (5) selections are made, we will process only five (5) and reserve the right to make this application void. Admission priority is given to applicants with siblings currently attending BioTECH for the school year for which you are applying (a minimum of one concurrent year). Acceptance is based upon the availability of open seats in the grade level for which the student is applying. the sibling must reside in the same household as the student who is applying, or documentation of joint custody must be provided. Applicants who are part of a multiple birth (twins, triplets, quadruplets, etc.) must submit an individual application for each applicant. Only one multiple birth applicant is entered into the random selection process, if one of them is selected for admission, the other(s) will be prioritized for admission to the same program, as long as they each meet entrance requirements. To receive the priority, parents/guardians must complete the multiple birth section of the application to link the students. Parents may opt not to link multiple birth student applications as indicated on the application. A multiple birth (twins, triplets, quadruplets, etc.) priority is not applicable for audition-based Magnet programs. If your child does not have an active Miami-Dade County Public Schools Student Identification Number, you should write “NO ID” on the application in the area labeled M-DCPS Student ID Number (paper applications only). 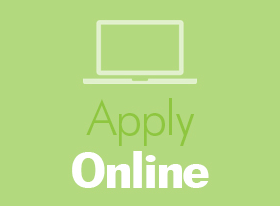 Applications may also be submitted online for students who have not been issued a M-DCPS Student ID Number. All notifications from schools will be sent to the email address listed on the application. It is the responsibility of the parent/guardian to ensure that email address and all contact information are current within the M-DCPS system. Additional information may be required by individual schools and must be submitted to those schools by the application deadline as part of the application process. Eligibility may be determined by such factors as skill, talent, academic performance, conduct, and interest. When the number of eligible student applicants, other than Visual & Performing Arts, exceeds the number of seats available, a random selection process will be utilized to admit eligible applicants. Any required testing or auditions must be scheduled prior to January 15. Failure to respond to an offer of acceptance by the specified deadline will be interpreted as a decline of program acceptance. Applications received from October 1 through January 15, will be eligible for consideration for enrollment in the forthcoming school year. Applications DO NOT guarantee placement. By submitting an application, I, hereby, give permission for my child to be evaluated for admission to the selected magnet program(s) designated in this application. If accepted, he/she will be enrolled as a full-time student at the school of acceptance. Transportation availability is limited and may not be available to all students. My child must demonstrate acceptable performance (as determined by school-site policy) in order to remain in the magnet program. No teacher recommendation/prerequisites will be required. Official transcripts are required upon admission of all out-of-county, private, & charter school transfers. International students must include all foreign examination records with transcripts as well as proof of residency. Although not required, the most successful students at BioTECH enter with a passing grade in Algebra 1 and Physical Science with an equal passing score on standardized Algebra 1 End-of-Course, and NGSSS Science assessments. Does BioTECH offer Dual Enrollment or college-level courses? Yes. BioTECH has a strong partnership with both Miami-Dade College and Florida International University and offers courses to students through a variety of models including during school, after school, and during the summer. All Dual Enrollment courses and books are free for current students. BioTECH also offers a full complement of Advanced Placement courses in Science, Math, Language Arts, Social Studies, and the Arts. A passing score on the end-of-year exams may guarantee students college credit at the university of their choice. Does BioTECH have transportation services to/from home? PUBLIC TRANSPORTATION services provided by Miami-Dade Transit are reliable to/from the Richmond Campus and Zoo Research Station. Current students are eligible to receive a 50% discount towards a K-12 Easy Pass which can be utilized on all public transportation vehicles. Apply for your K-12 Easy Pass. PRIVATE TRANSPORTATION services are provided by third-party vendors that are neither endorsed by BioTECH nor MDCPS. Contracting with these vendors is at the risk of the consumer and the school is not responsible or liable for any service disruptions, accidents, late pickup/drop offs, etc. Interested parties may access an updated list of vendors that are known to service the school and should contact vendors directly for pricing and availability. Does BioTECH have an athletic program? No. However, students can tryout for any athletic team at any public high school with the approval of the school’s principal. If accepted onto the team, with the proper documentation, BioTECH will excuse absences and dismiss students early for competitions. For more information, visit the MDCPS Activities & Athletics website.